Hi, I´m an English Teacher and a Fly Attendant. I have two passions in my live: english and planes. This is why I love sharing them with my students. 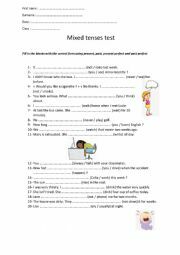 br "Don´t dream about your life but live your dreams"
Fill in the blanks with the correct tense (present, past, present perfect simple or continuous or the past perfect. I added the keys. 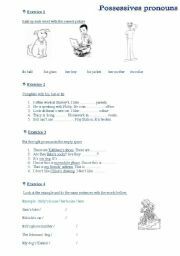 I hope you will like it, it´s a really good exercice to play with the tenses. 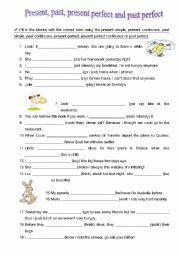 Fill in the blanks with the correct form using the past simple or the present perfect. Keys included in this worksheet. 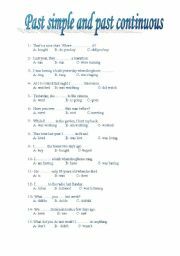 Past simple and past continuous, choose the correct answer of each sentence between A, B or C. There is only one correct answer. 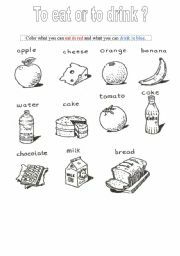 Exercice to learn the verbs to eat and to drink. Color the what you can eat in red and what you can drink in blue. 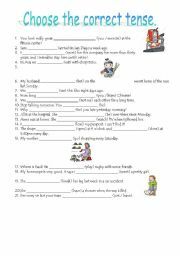 The students have to choose the correct tense to comple the sentences. Key included. Have fun! Present, past, present perfect, past perfect or future? 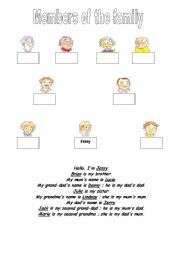 Write the correct form of the verb using the present, the past, the present perfect, the past perfect or the future. Keys included. I hope you´ll enjoy! Put the correct name under the correct picture. 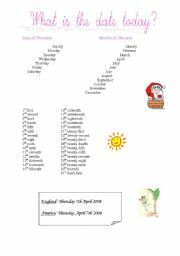 It´ll help the kids to learn how to write the date. Read Mary Shelley´s life and answer to the questions.